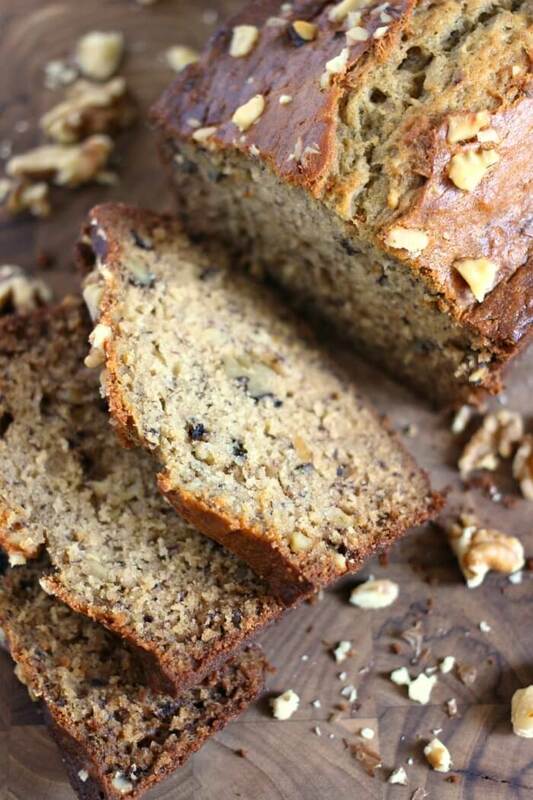 Banana bread is the best way to put those overripe bananas sitting on our counter top to good use! Banana bread makes my heart so happy. It’s one of those comfort foods that is viscerally fulfilling for me. Also, it tastes so good. Banana bread never lasts long in our house, so we usually double the recipe and make two loaves! I like to serve our banana bread with a warm cup of coffee, whipped butter, and if I’m feeling totally crazy, I’ll sprinkle on some pumpkin pie spice! Butter – some folks recommend oil for banana bread, but I am a staunch believer in using butter. There is just no match for the flavor it adds! Try to use a good European butter with low water content, like Kerrygold. Brown sugar – brown sugar is just so much better in this recipe than white sugar. I also feel like it helps keep your banana bread moist. Eggs – eggs add richness to the bread, but spoiler alert- this banana bread will actually work even without eggs! Bananas – make sure you use super ripe bananas with lots of black and brown spots on them. The sugars are much more developed and you’ll get a sweet moist bread as opposed to a dry starchy bread if you used fresh bananas. Salt – it’s amazing what a small amount of salt can do for a recipe. Vanilla – I am a huge proponent of always using real vanilla extract as opposed to imitation. There’s just no comparison. Baking soda – baking soda is used as a leavening agent in banana bread so it’s not too dense. Cinnamon – just a pinch for flavor! Flour – make sure to use all purpose flour, not self rising. If you only have self rising on hand, skip the salt and the baking soda. 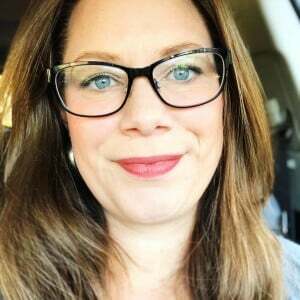 Optional: walnuts – my kids do not like nuts in their banana bread, so I will usually make a double batch and do one loaf with nuts and one loaf without. How long do you leave banana bread in the pan after baking? You can turn banana bread out of the pan immediately after baking and place it on a cooling rack. In our house though, it’s usually gobbled up directly from the pan while still warm. Is there a difference between baking soda and baking powder in banana bread? There is a difference between baking soda and baking powder in banana bread. Baking soda and baking powder both act as leavening agents to puff up the bread, but they are not directly interchangeable. Our banana bread calls for baking soda, but if you only have baking powder you will need to use three times the amount called for in the recipe. For this recipe, you would need three teaspoons of baking powder if you do not have baking sofa available. Is Banana Bread supposed to be moist? Banana bread is supposed to be very moist and moderately dense. The bananas themselves are very moist, and then add to that your butter and you have a deliciously moist bread. Why is my banana bread so dry? There are a few reasons your banana bread may be too dry. Check to make sure you’re adding the correct amount of butter – even skimping a little can cause the bread to be dry. You’ll also want to make sure you’re using at least medium sized bananas in your recipe. And finally, make sure you’re not cooking it too long. If your oven is not properly calibrated and is cooking at too high a temperature, it may end up dry. 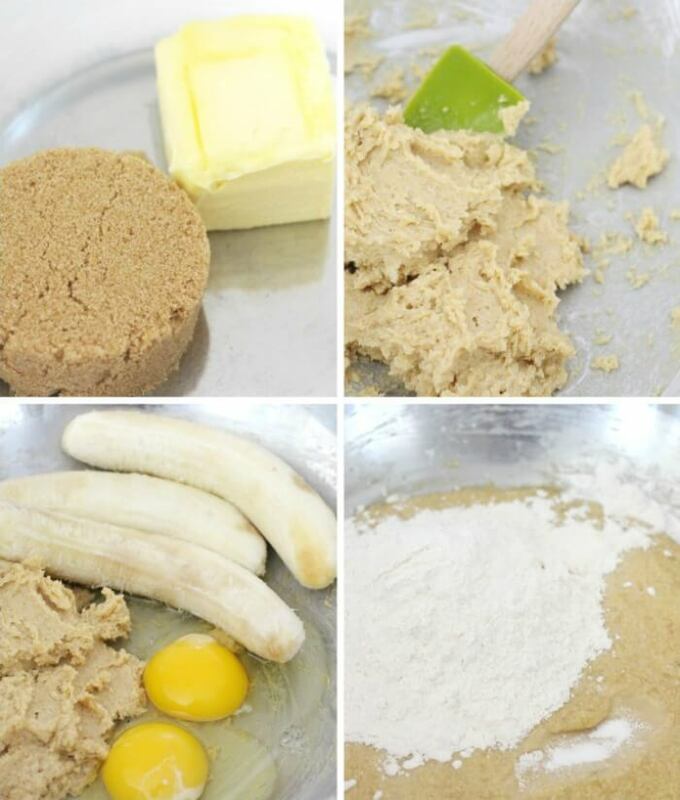 How do I know if my banana bread is done? You know when your banana bread is done when you can stick a long toothpick down the center of the bread and it comes out clean. If the toothpick comes out clean, do not continue baking the bread or you will end up with dry or burnt banana bread. Why did my banana bread sink in the middle? If you substituted baking powder for baking soda in your recipe and used too much, it can sometimes cause the banana bread to rise too quickly and then fall in the middle. Watch your measurements closely! Pyrex Basics 1.5 Quart Clear Glass Loaf Dish with Lid – it makes me thoroughly happy when things come with lids. Baker’s Secret Cooling Rack, Set of 2 – gotta cool your loaves, yo. You can also watch us make banana bread (and margaritas!) on YouTube! Make sure to tune in for all our live cooking shows! In a large bowl, use an electric mixer to cream together the butter and brown sugar. Add eggs, bananas, salt, vanilla, baking soda, and cinnamon. Blend well. 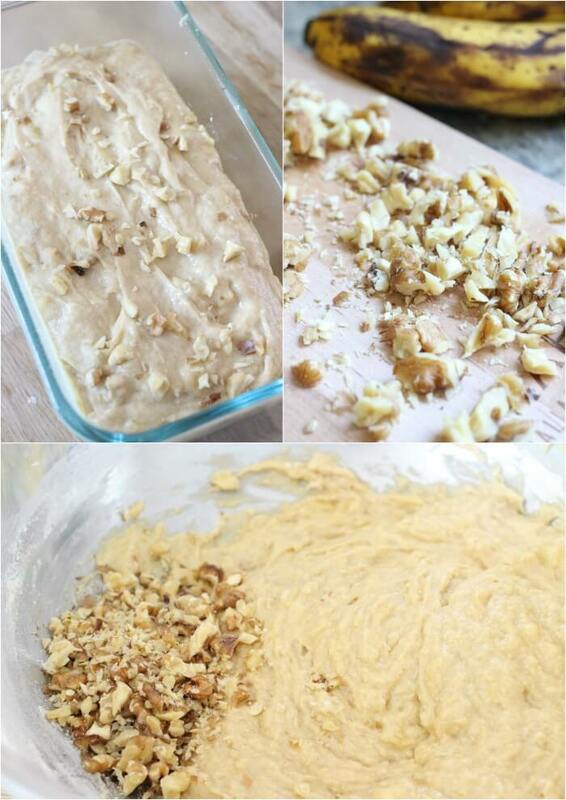 Gently stir in flour, then walnuts. Pour into a well greased loaf pan (we use this substitute for cooking spray) and bake at 350 degrees on the center rack for about 60 minutes. Check with a toothpick for doneness. 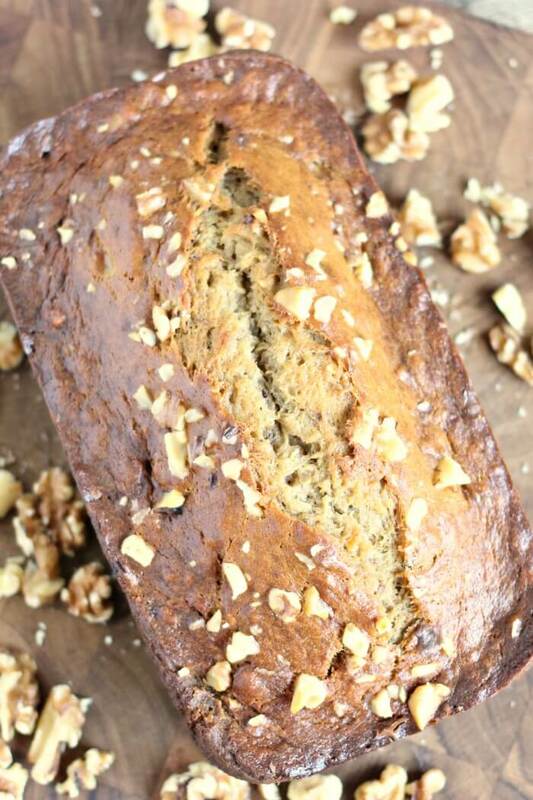 Calories for banana bread are calculated with 1/2 C walnuts. We use this substitute for cooking spray and it works amazingly well! 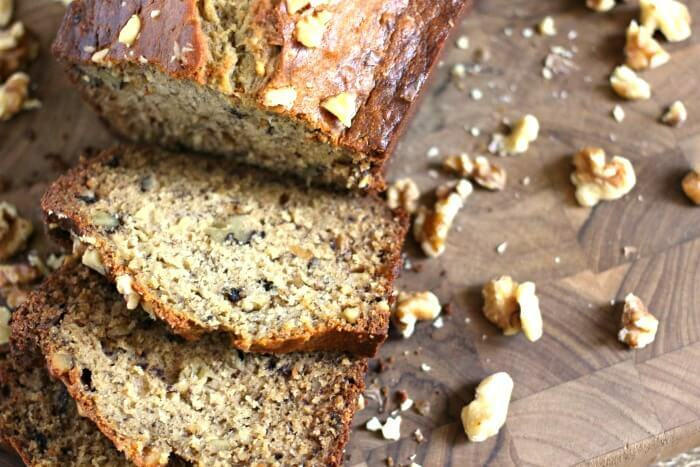 Homemade banana bread is SO much better than store-bought. This is a great recipe! A classic! Thank you for the banana bread troubleshooting advice in the post. Super helpful. 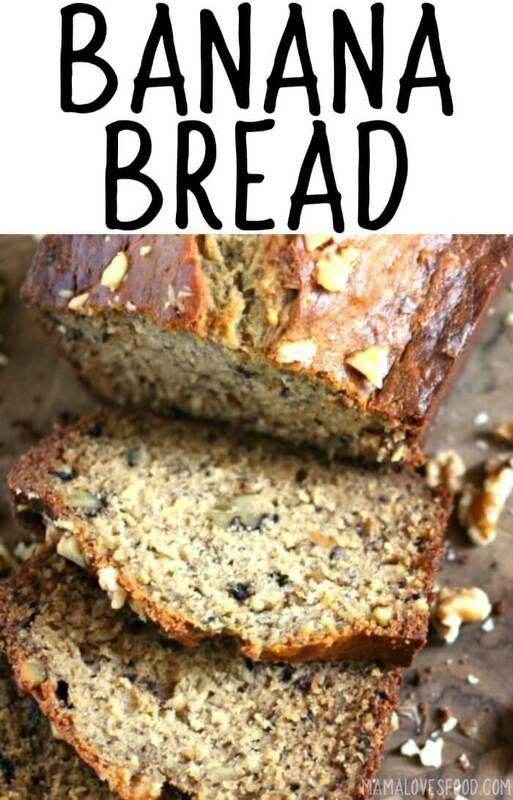 everybody knows how much i like banana bread as it is the closest thing to banana muffins, but i want to know if we can add walnuts to it!